Steinway Piano, part 1 can be found here. 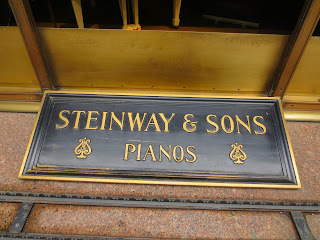 Steinway & Sons company was founded in 1853 by German immigrant Henry Steinway. Steinway Hall, 88-year-old historic and cultural landmark on 57th Street down the block and across the street from Carnegie Hall, was sold in August 2013. 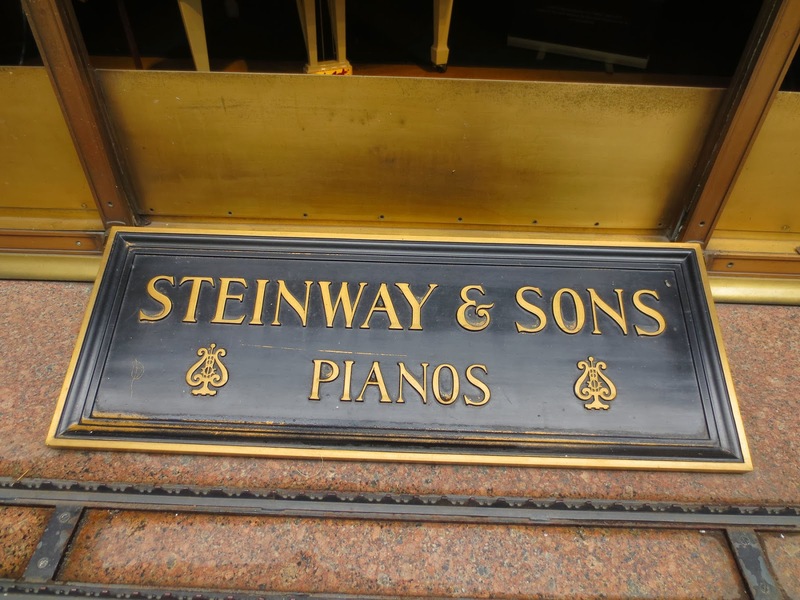 In 1866 Steinway & Sons opened the first Steinway Hall ( the building housing concert halls, showrooms and sales departments ) on 14th Street near union Square. The concert hall was designed with 2,000 seats, and had a concert stage for a full 100-piece symphony orchestra. It became New York City's artistic and cultural center, housing the New York Philharmonic until Carnegie Hall opened in 1891. In 1872, Steinway & Sons organized a concert tour of 215 performances in 239 days for the Russian virtuoso pianist Anton Rubinstein. to promote his piano. Rubinstein's legendary concert at the Steinway Hall was sold out with 3.000 guests, many of them standing.William Steinway, the son of the company founder, said: "One concert on Saturday night, sells pianos on Monday morning ". ﻿﻿In 1902 the 100,000th Steinway Piano was built for President Theodore Roosevelt. It was gilded with gold leaf, and American Eagles were carved on the legs. 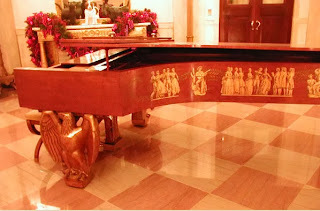 Today the historic Gold Steinway stands in the First Ladies Hall of the National Museum of American History. 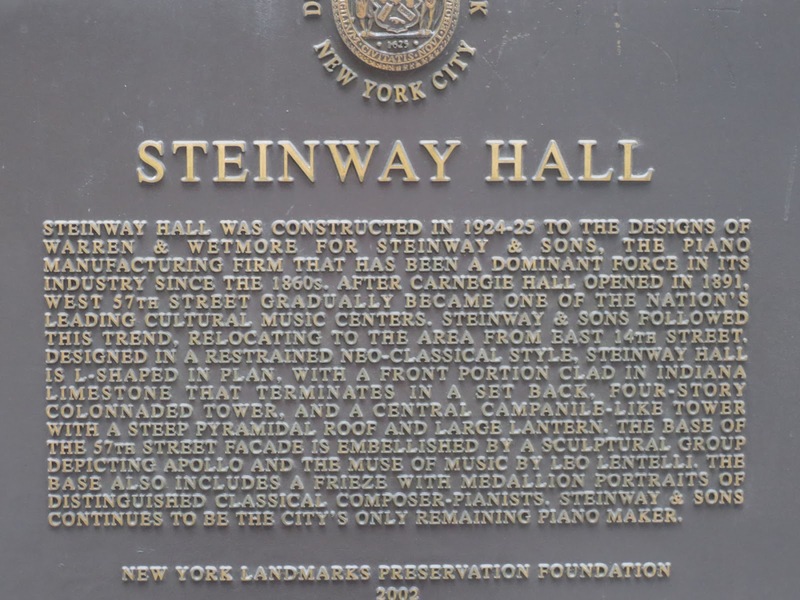 In 1925, Steinway Hall opened to its current location in a newly constructed 16-story building on West 57th Street near Carnegie Hall. 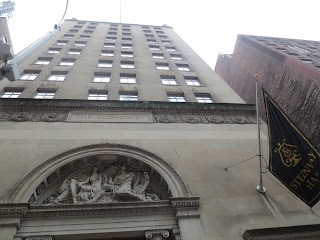 The building was built by Warren and Wetmore - the same company that built Grand Central in 1913. A music themed sculpture of Apollo and the muse of music topped arched entrance. The top of the house was designed to be part of a penthouse apartment for the president of Steinway, but was turned into a radio studio. 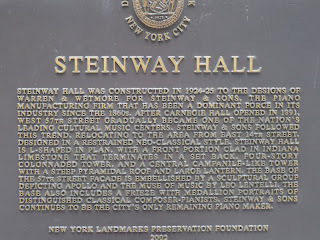 The two-story rotunda is the real centerpiece of Steinway Hall. The main rotunda seats up to 300 guests and a small symphony orchestra. The mezzanine has soundproofed rehearsal rooms, named after members of the Steinway family. Each room has a Steinway piano that is equipped with a connection to personal computers. The only room not named for a Steinway is the Rachmaninoff room, which contains a large portrait of the virtuoso. The official opening night of the hall was on October 27, 1925 with a performance by Philharmonic Orchestra before 300 invited guests of New York society, including four Steinway grandson, Sergei Rachmaninoff, Andrew Carnegie, Guggenheim and DuPont. The entire performance was broadcast over the radio. According to legend, it was in the Steinway basement that Vladimir Horowitz and Sergei Rachmaninoff met for the first time. There they played Rachmaninoff’s third Concerto. This piece became Horowitz’s trademark. 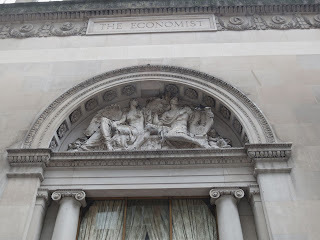 The building now bears the name of the current owner, the British publisher, The Economist. 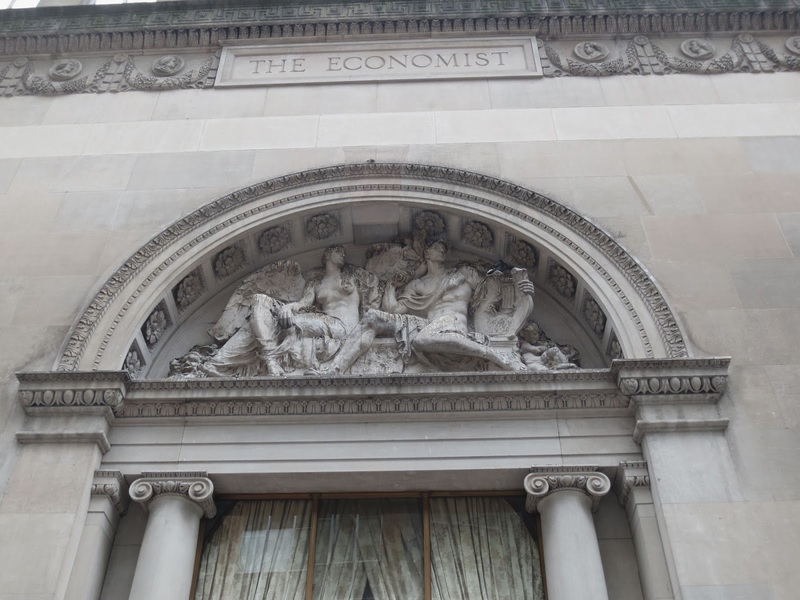 Despite having its “name on the door”, The Economist is nowhere on the premises. 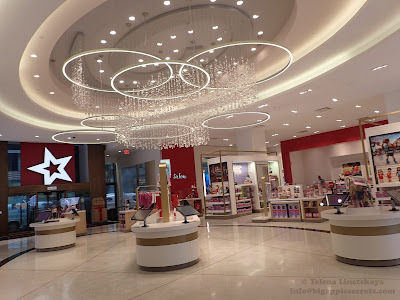 Its offices are at 750 Third Avenue. Below street level is the world famous Steinway Basement with the Steinway “piano bank” where piano professionals come to select instruments they will use in concerts, in recordings, and on tour. 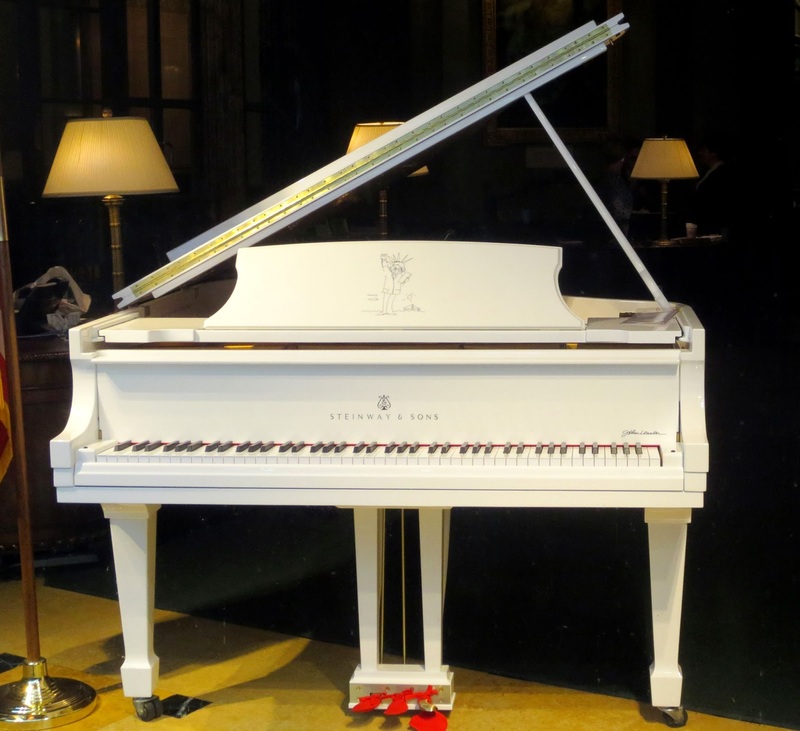 In August 2013 Steinway agreed to be acquired by Paulson & Co., the hedge fund owned by billionaire John Paulson for $512 Million. 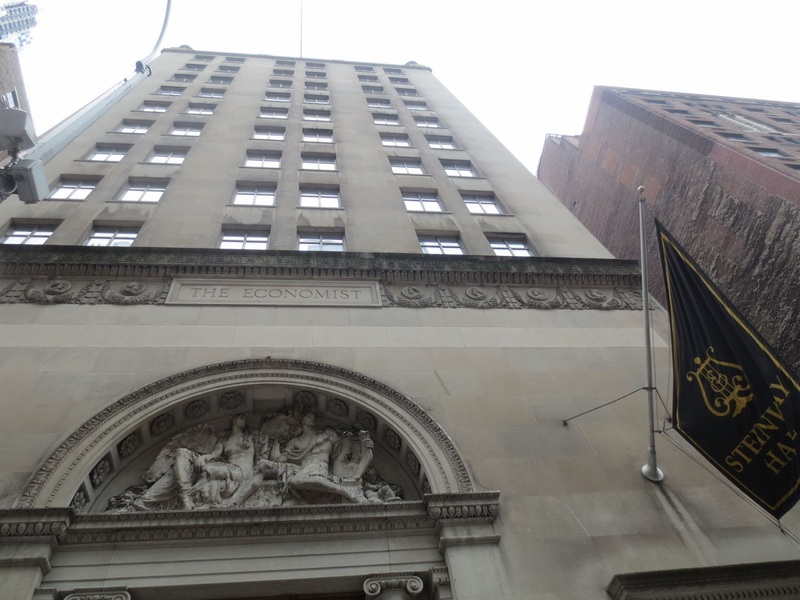 Steinway said that under the terms of the deal, it could remain in the building on 57 street for up to 18 months.